SERIES SWEEP – Number 16 Brady Hartwig taps in the tying goal for the Raiders in game one of the semi-final series against the Virden Golden Bears last Wednesday night. The Raiders would go on to win the game and sweep the series with a victory the following night in Virden. They now head into game one of the championship final against the Vincent Massey Vikings tonight at 6 p.m. in the Shamrock Centre’s Paterson Arena. 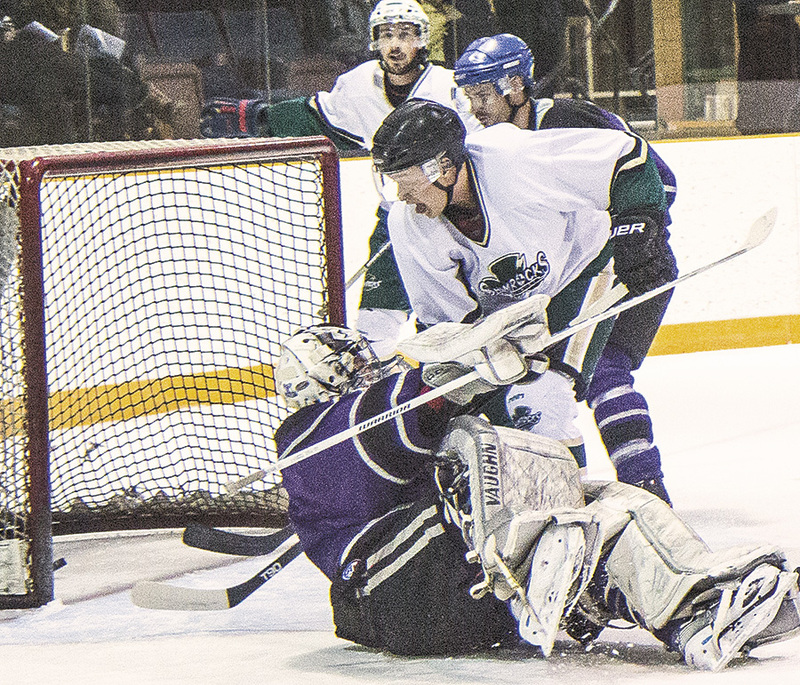 FINISHED IN FIVE – Clayton Heinrichs of the Killarney Shamrocks pops in a goal, assisted by Ryan Howatt and Jesse Bernard (background), against the Souris Elks who would go down in game five of the semi-final series. 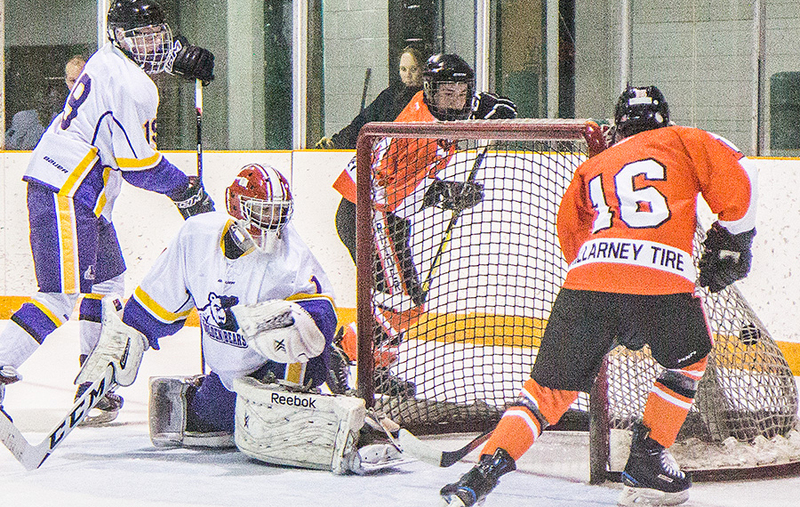 Killarney now faces the Hartney Blues tonight at 8:30 p.m. in the Shamrock Centre for game one of the West Division finals of the THHL playoffs. For more on the ‘Rocks and Raiders pick up today’s Killarney Guide.